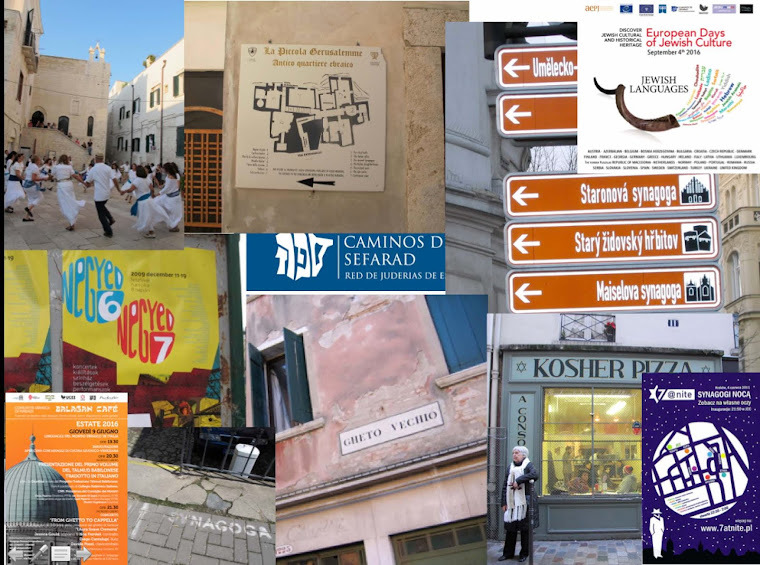 This year marks the 10th anniversary of the European Day of Jewish Culture, an event that takes place in nearly 30 countries and represents the biggest and most extensive Jewish culture festival in Europe. Begun as a local initiative in the Alsace region of France, Culture Day went international in 1999 and is one of the only such manifestations that has a cross-border character. This year its theme is Jewish Festivals and Traditions. Its roster is likely to include as many as 800 separate, simultaneous events in 28 countries. With so much going on at the same time in so many places, Culture Day is targeted more at local people than at tourists. It's aim is to enable the public at large to discover the cultural and historical heritage of Judaism and in doing so to combat anti-Jewish prejudice. 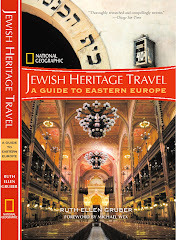 As I wrote last year in an article for Hadassah Magazine, Culture Day is loosely coordinated by the ECJC, B'nai B'rith Europe and the Red de Juderias, a Jewish tourism route linking 15 Spanish cities. On the ground, however, the operation is staffed by local volunteers in each participating country -- thousands of them, Jewish and non-Jewish alike. The level of participation in each country is determined by local interest, resources and capabilities: some countries have only a few token events. The Italian participation has, from the beginning, been among the most enthusiastic, thanks to good organization, hundreds of volunteers, and important support from state, regional and local authorities. This year, there will be a record participation in Italy -- nearly 60 towns, cities and villages will be scheduling some sort of event. Each year in Italy, one city is chosen as the flagship, where official kick-off ceremonies and major events are held. This year the choice is unusual -- it's Trani, a seaport town in the deep south of Italy, in Puglia, on the heel of Italy's boot. Jews were expelled from here half a millennium ago; it's only in the past few years that local people have begun to recover Jewish history. A tiny Jewish community was reconstituted five years ago. Events there will center around what is being called the first Festival of Jewish Culture ever to be held in Puglia. Called "Negba", it takes place Sept. 6-9. The program includes performances, concerts, lectures, discussions, exhibits. Many events will be sited at Trani's Scolanova synagogue, which was used for a centuries as a church but has been the center of Jewish life in the town since 2005. You can see the full Italian schedule by clicking HERE.